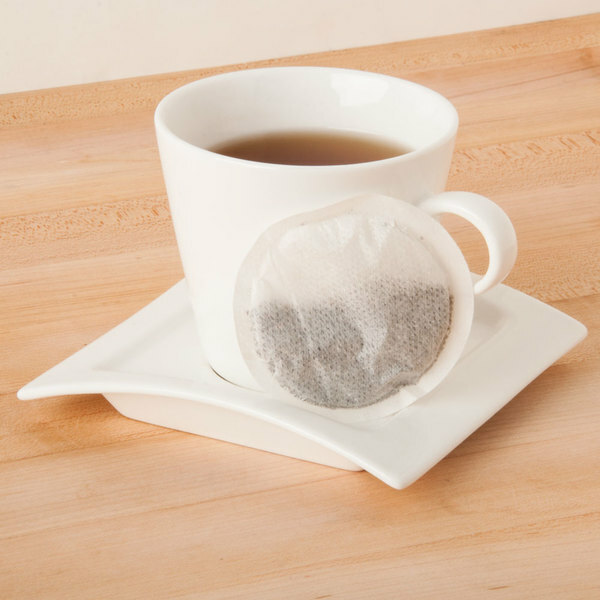 Offer your guests a cup of the finest mountain-grown black tea with the convenience of a single-use tea pod! 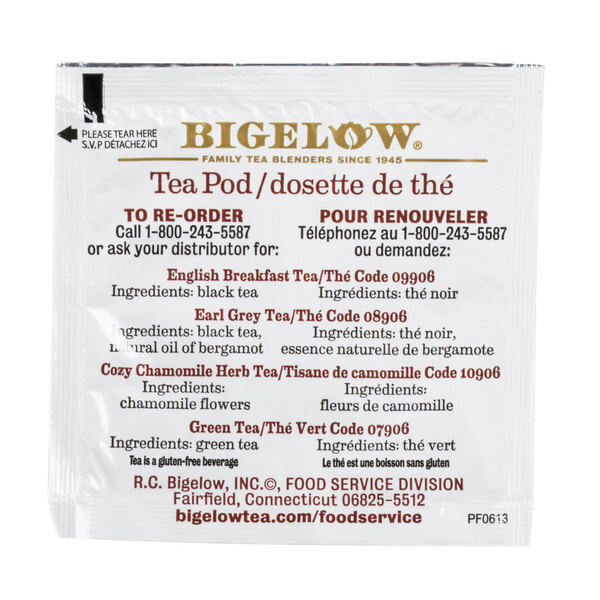 The Bigelow Tea earl grey tea pods are perfect for fast beverage service, or self-service stations in your coffee shop, hotel, or cafe. 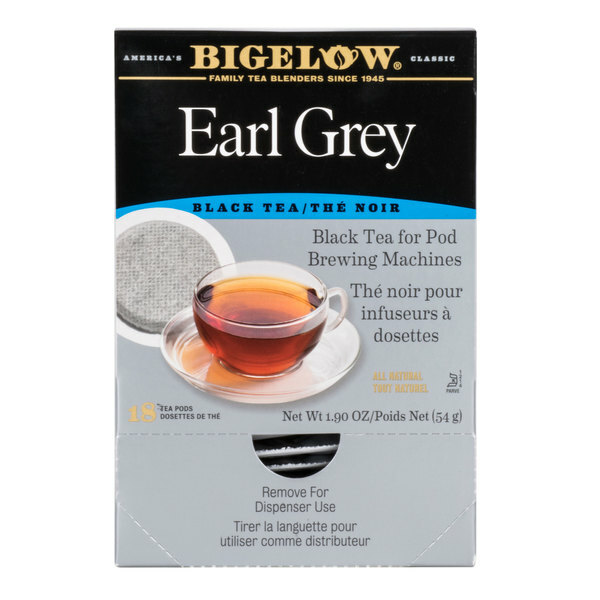 Delicately scented, Bigelow Earl Grey tea is a classic flavor that your tea assortment cannot do without! Earl Grey tea blends robust black tea with real oil of bergamot from Calabria, Italy. 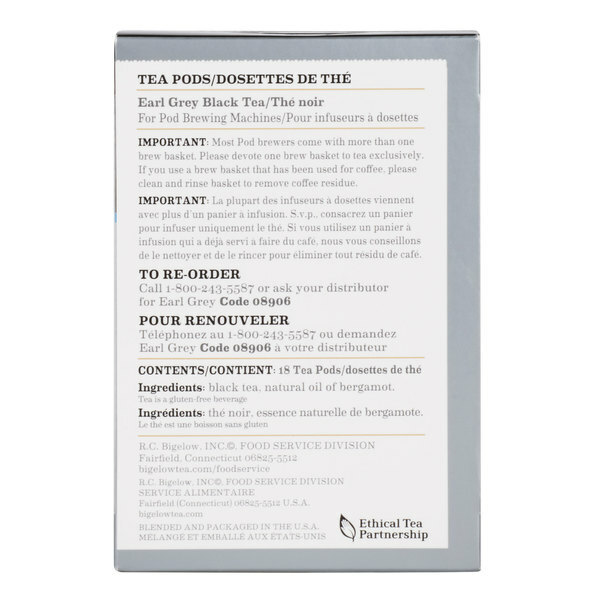 When brewed, this aromatic tea has a dark copper color and a full-bodied flavor with a subtle citrus finish. A nice quality tea pod that is great for our brewer. Love the great taste of this Bigelow earl grey tea. A nice all purpose tea. 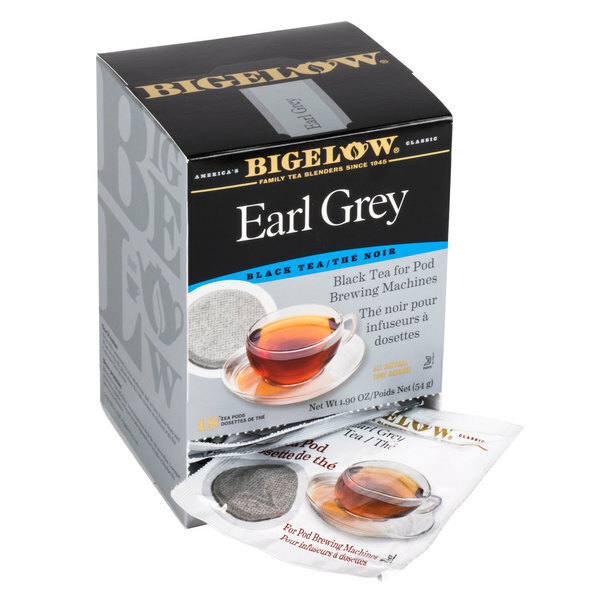 The Bigelow Earl Grey Black Tea gave an overall great taste of pure tea. It exudes a nice aroma one would like to achieve from a tea. Love it! 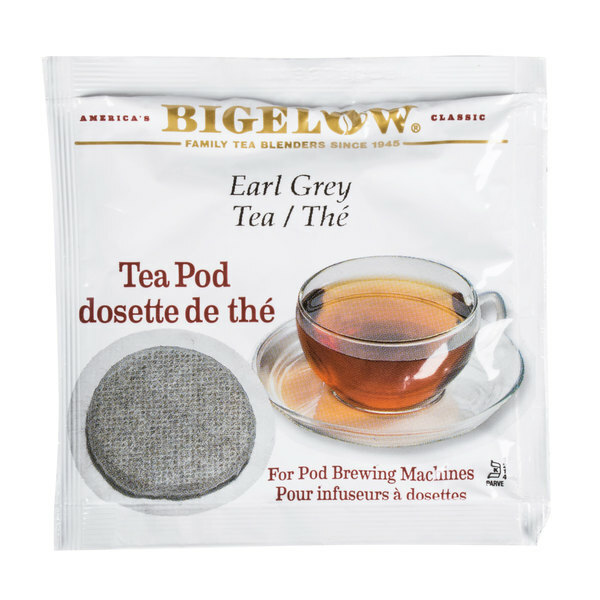 The Bigelow earl grey tea pods are great tasting and have a great quality taste. 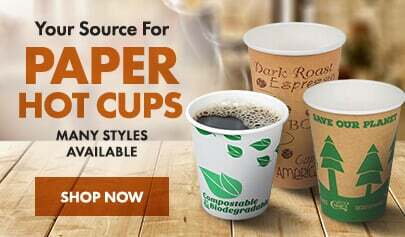 The pods are so easy to use and convenient for brewing for one. 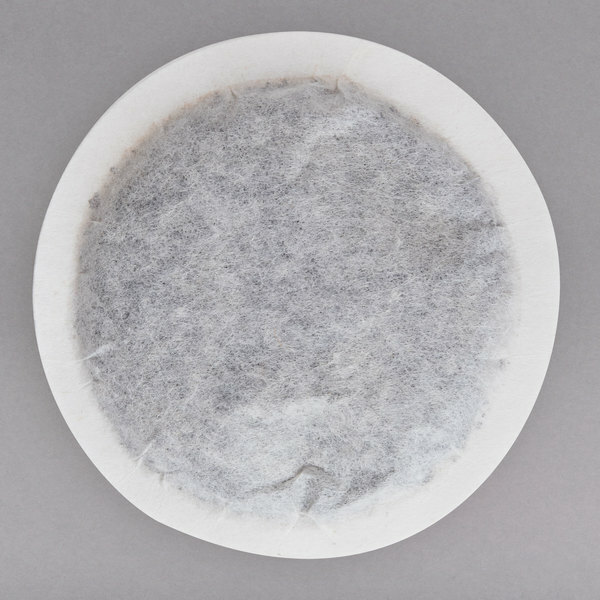 The Bigelow Earl Grey Tea Pods brew well and tastes great. It is great for bedtime but it also has many other health benefits. I would recommend to any Tea lover. A great aroma while brewing and fits my pod brewer perfectly. it is such a relaxing tea and ahs an amazing flavor that I love. When you steep it in the correct way, the result is going to satisfy you. A great taste of earl grey with a good experience. Great earl gray tea in a pods version! full flavor and so easy to use. Strong and satisfying aroma will be appreciated by any tea lover! I really enjoy Bigelow Earl Grey Tea. These pods are also a great way to have you tea. The pods are very easy to use, and I would recommend these! The Bigelow makes a great flavorful black tea that is rich and delicious to drink. Black tea is full of great nutrients and the pods are easy to use. There are 18 pods to a large box that is easy to dispense. This company is known for great teas. Nice floral scent on this tea, and the pod machine brewing size is very convenient. The bags are stuffed with tea and the flavor is good. Having a pod Machine we wanted pods that came in tea. We found them here, easier to use when someone wants tea then coffee. Great price on Webstaurant store. Many other flavors also available.